Tree Pose, called Vrksasana in Sanskrit is one of the classic hatha yoga poses that I incorporate into my yoga classes. Challenging, and fun (especially if you get a bit wobbly) Tree Pose reminds us that rigidity isn’t the best way to approach life. Trees survive because they move with the wind – yet they stay rooted. When doing this pose we are rooted in our inner focus – maintaining a gentle concentration on a chosen point helps us balance in tree pose. It’s when we “try” to balance that things get a little unbalanced – a bit like life, the magic is in allowing and flowing. 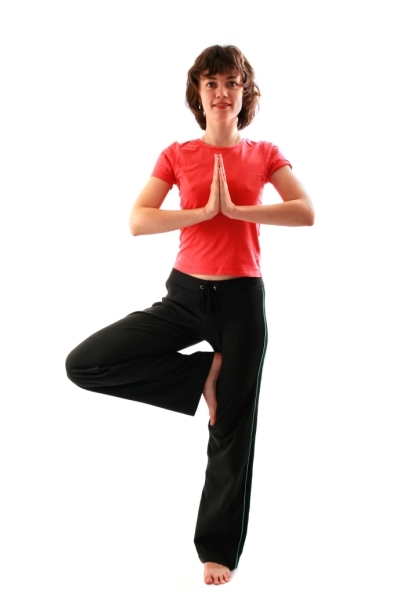 Tree pose helps us develop concentration – if your mind wanders off whilst doing this asana then you will find it hard to maintain the position.